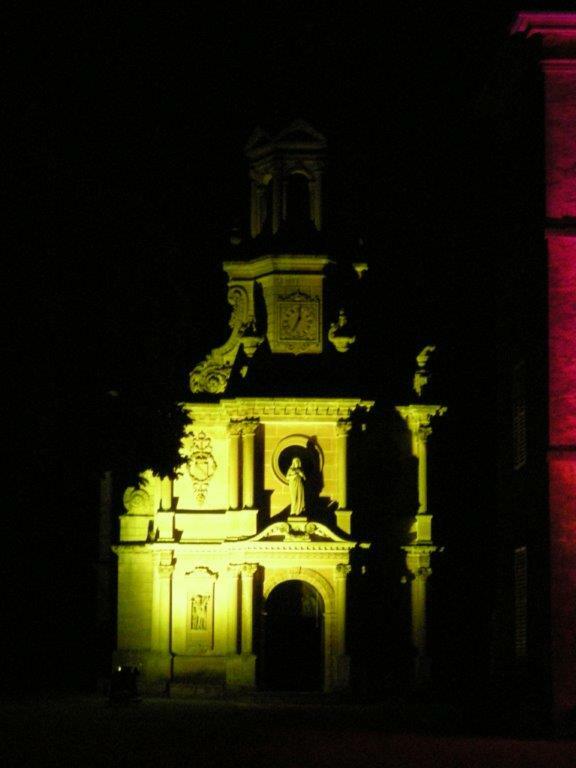 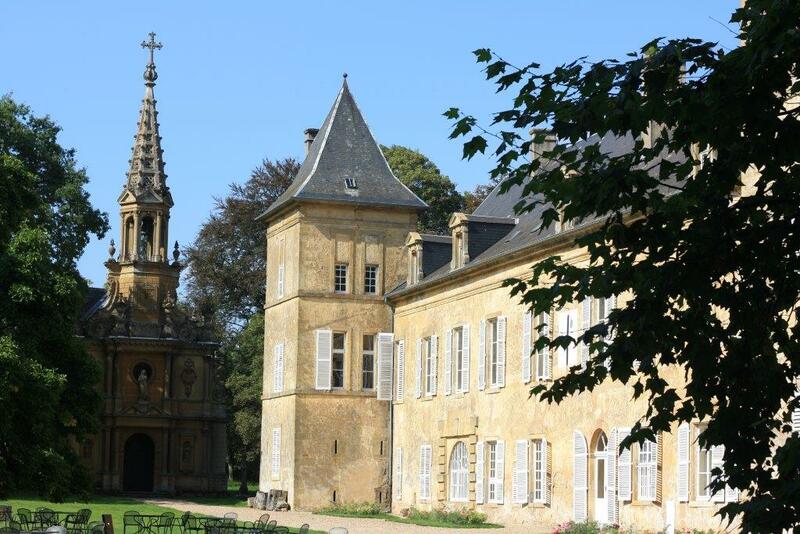 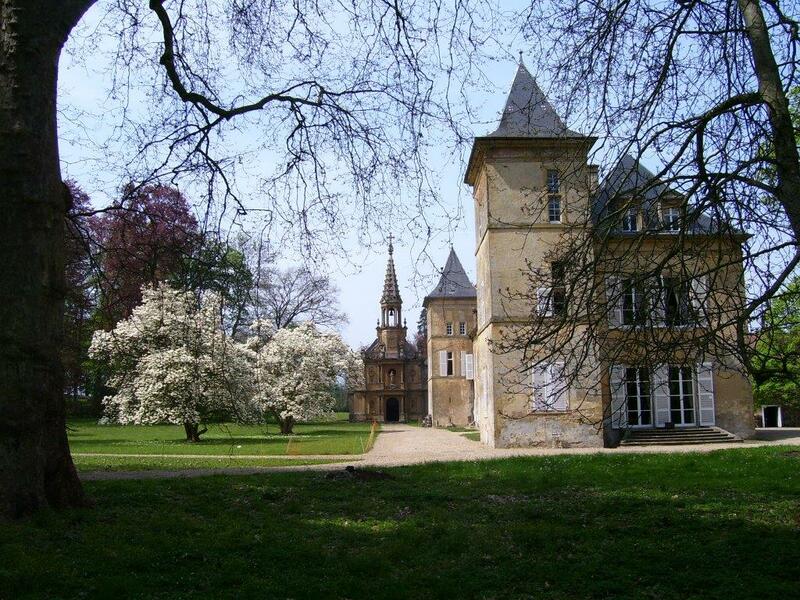 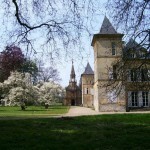 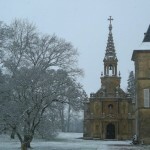 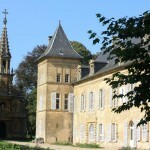 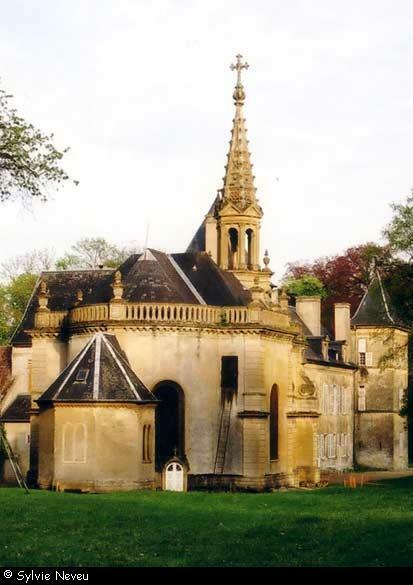 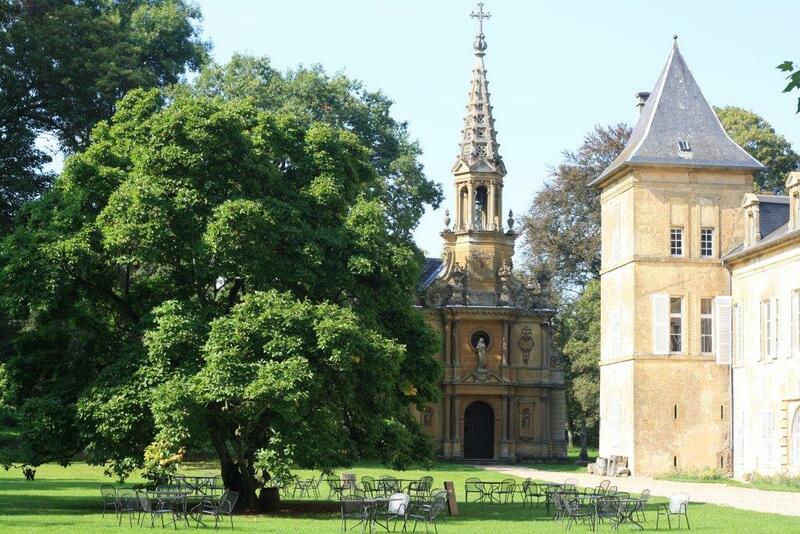 Classified a historic monument, the chapel of Preisch was built in 1773 by Francois de Lasalle. 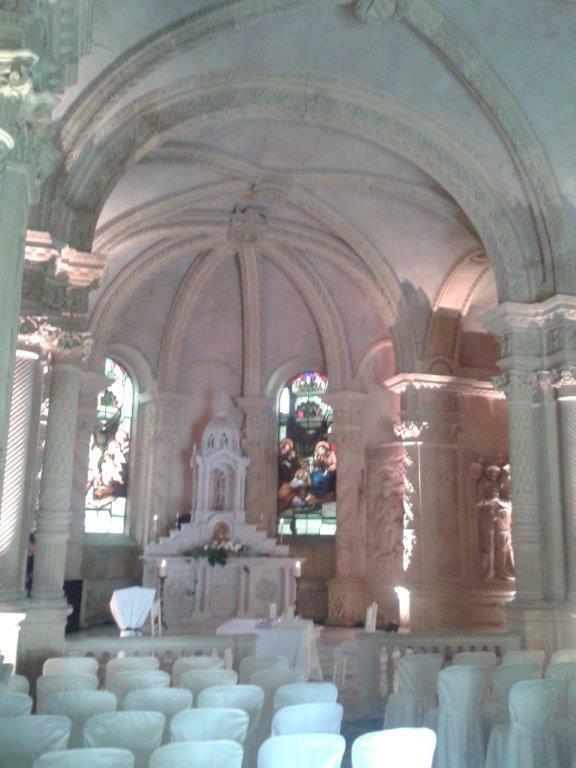 It was a romanesque chapel, simple, austere and solidly built, the interior was bare. 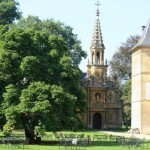 A square wooden bell tower topped by a slender spire sheltered the bell from the chapel of the former fortress. 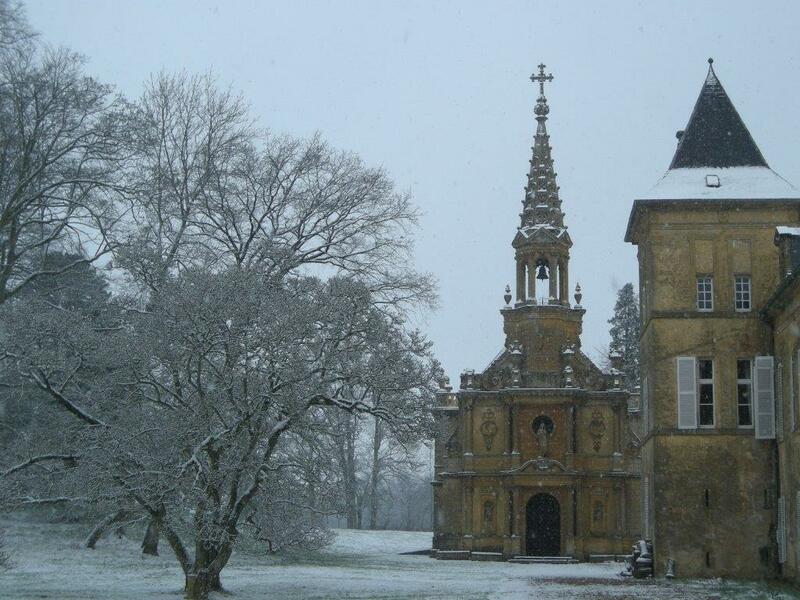 The bell that can be seen today was baptised Magdeleine and is dated 1564. 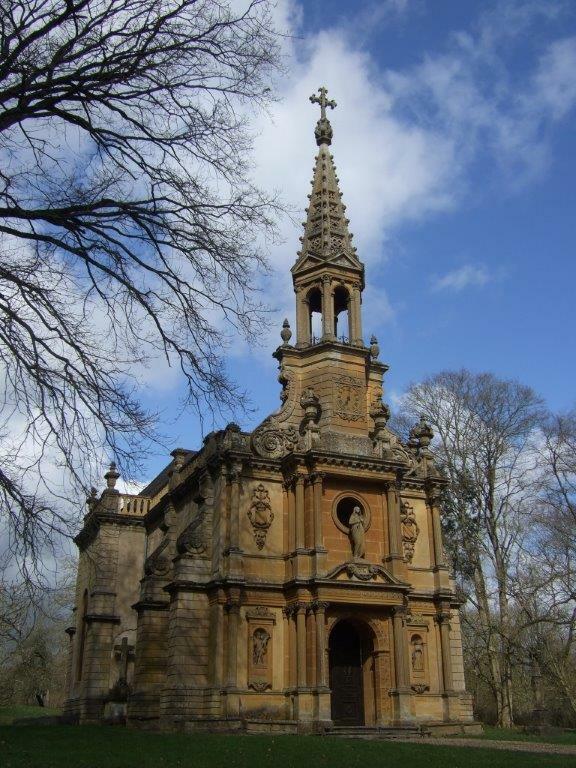 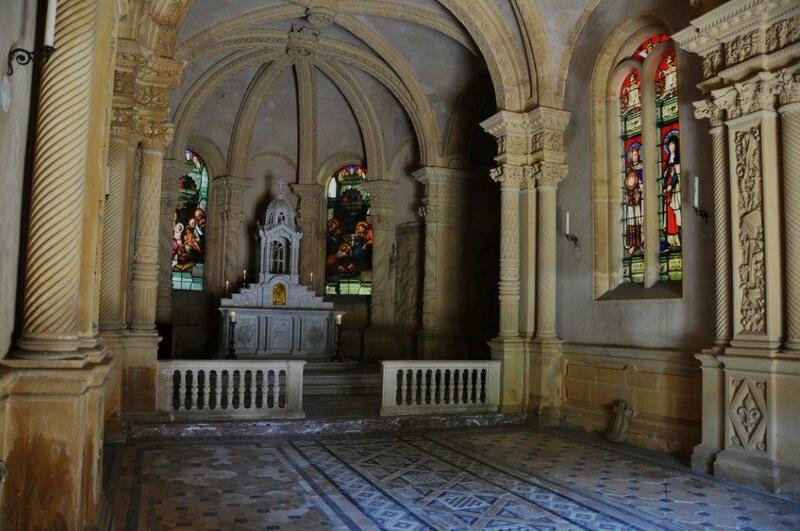 In 1862, the chapel needing renovation, Charles de Gargan decided to transform ithe modest building. 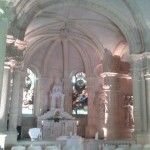 All the new parts were rebuilt in yellow Jaumont stone. 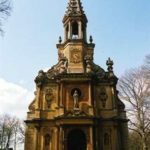 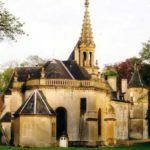 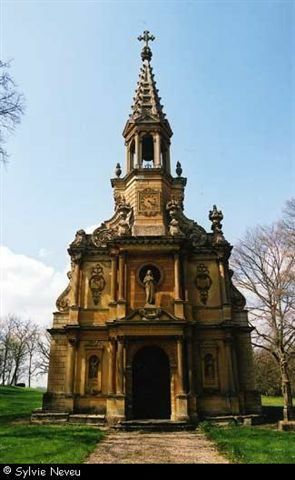 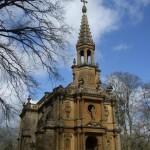 He had a crypt built under the chapel where the members of his family would be buried, and had a bell tower built garnished with a stone spire 13 meters high. 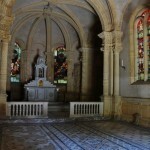 He had a sacristy constructed behind the altar, replaced the windows with stained glass ordered from Monsieur Marechal master glass-maker in Metz, and had the floor paved in a mosaic of fine marble ,and ordered a white marble altar from Monsieur Jacquemin. 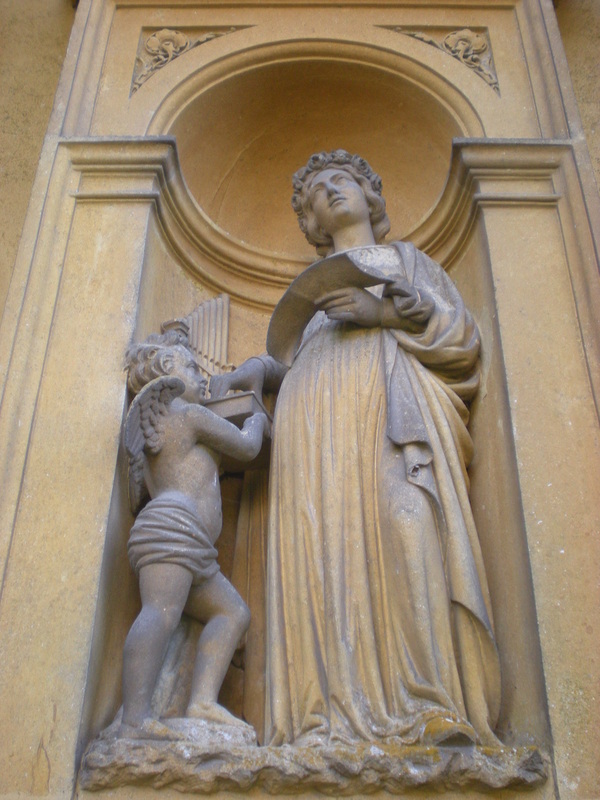 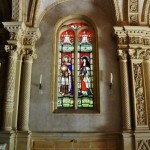 His inspiration for all the decoration of the chapel was the monumental Renaissance of the 16th Century. 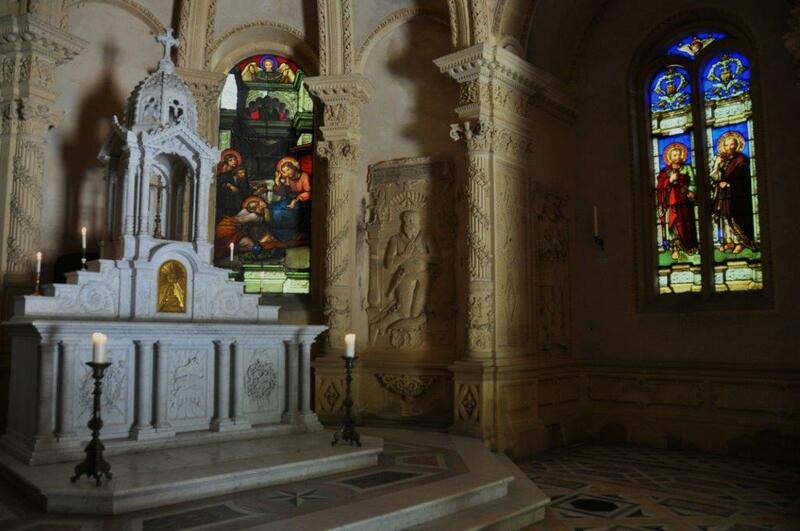 Two funeral monuments of the Schawenbourgs, formers Seigneurs of Preisch have been adapted to each side of the altar. 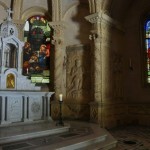 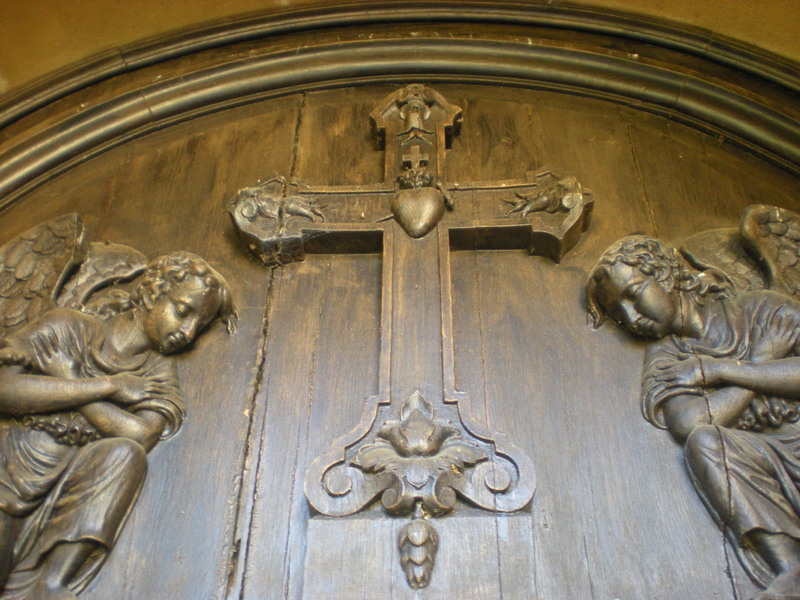 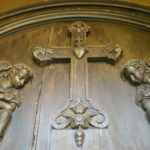 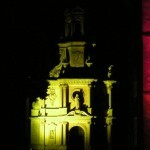 They come from the chapel of Saint John the Baptist in the old fortress and date from the 16th century. 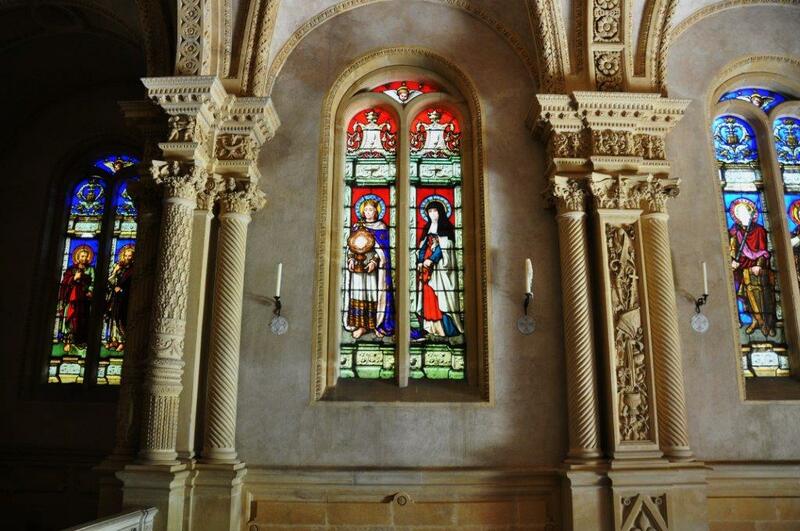 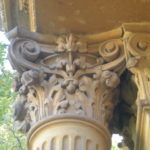 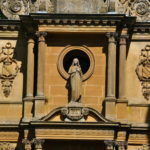 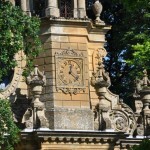 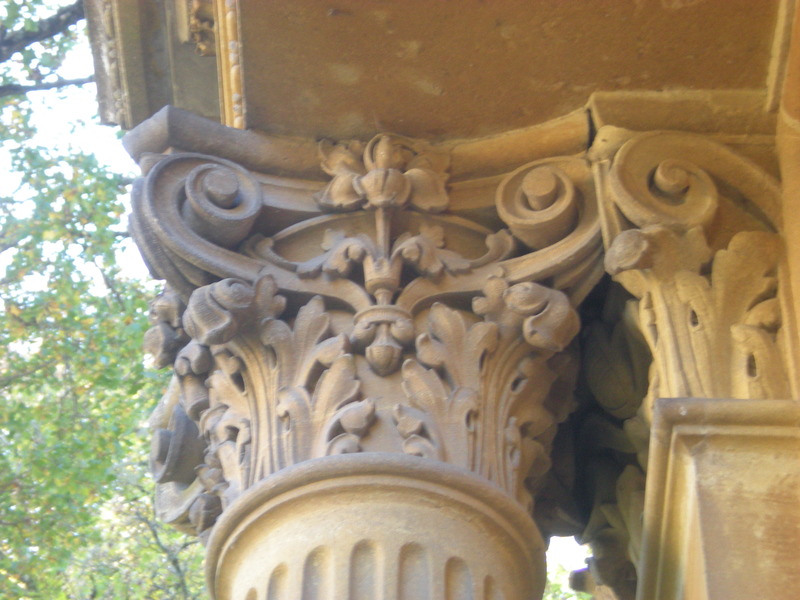 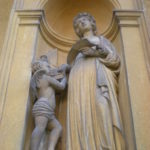 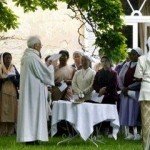 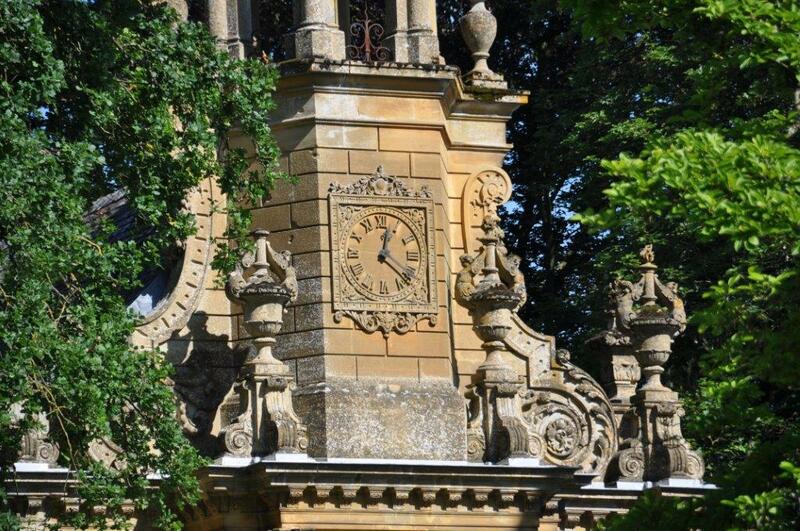 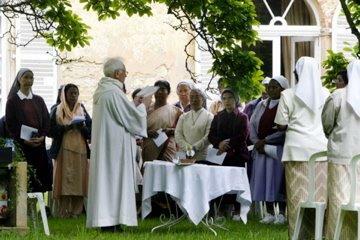 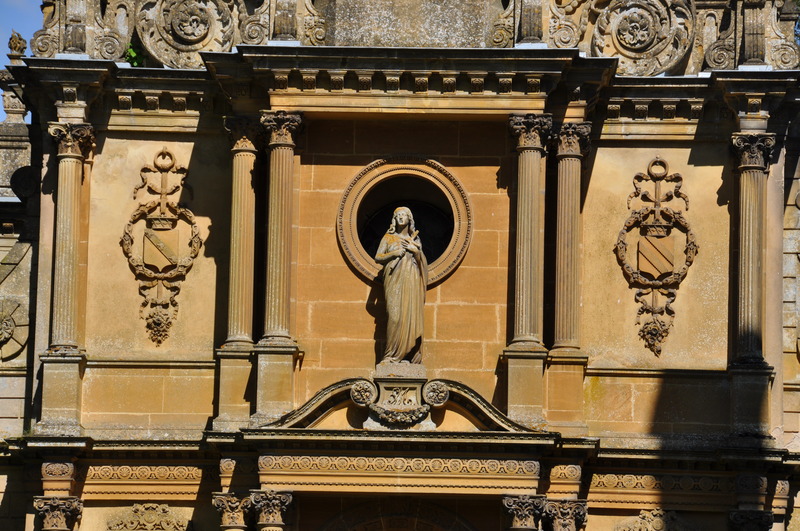 Situated to the side of the chapel it is also classified a historical monument. 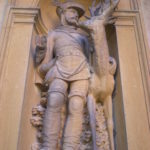 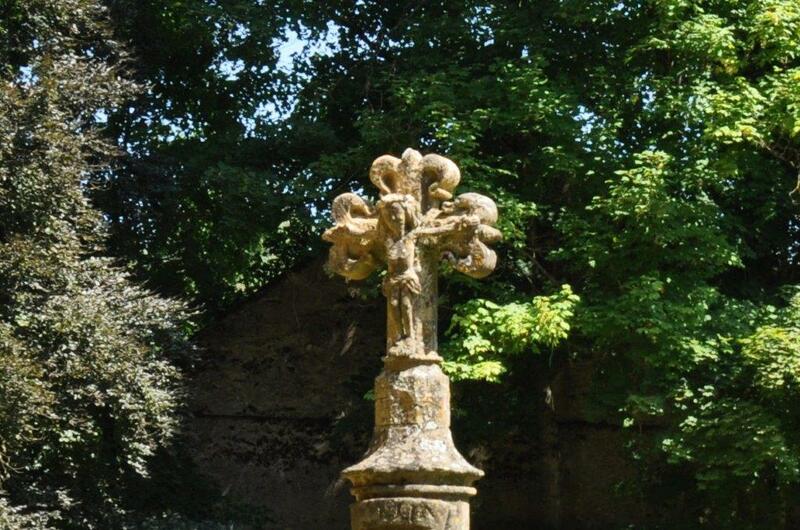 The cross called that of the Taking Possession of the Lordship of Preisch by sire Jean de Schulenburg, provost of Luxemburg, is a small monument erected in 1514, as is shown by the date carved on the base which is surmounted by a cross bearing Christ. 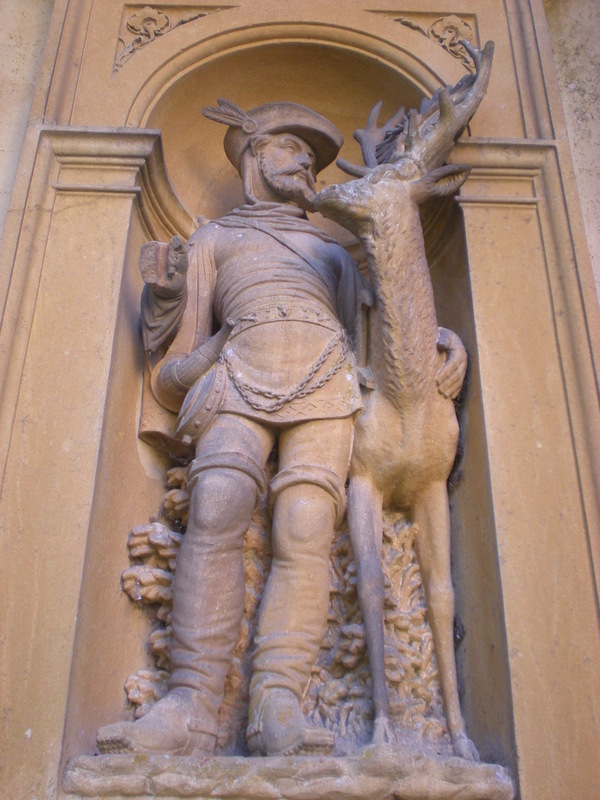 On the base are carved the heraldic arms of the house of Schawenbourg. 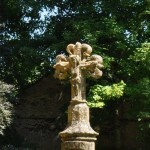 It is known that the deeds of seignory were displayed to the vassals, after holy office, at the foot of the cross of the seignory.